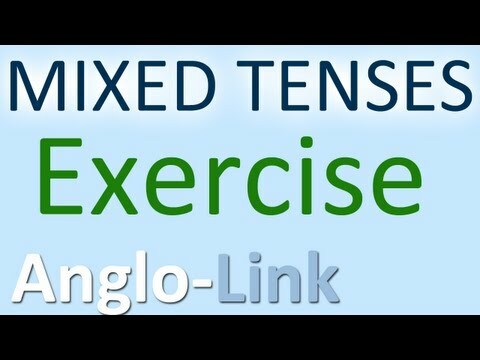 This English exercise video will allow you to practise all the tenses in the English language. Simply conjugate the verb in the correct tense. Let us know how you did. Revision Lesson: http://www.youtube.com/watch?v=84jVz0D-KkY A-F 105 Main Tenses: http://tinyurl.com/cpz58ar For more help with practising English, visit our website: http://anglo-link.com Enjoy!